Scotland has no shortage of magnificent and imposing castles. But the most obvious, castles like Edinburgh Castle or Stirling Castle, rely for at least part of their impact on locations that were already imposing before anyone built there. It is less easy to think of castles that manage to immediately impose themselves on visitors despite a tranquil parkland setting: until you visit Fyvie Castle. In part Fyvie Castle's impact is down to the simple scale of its construction. Over the centuries it has become steadily larger as successive generations of owners, and successive owning families, sought to make their own mark on the building. And in part its impact is down to an optical illusion that makes it seem even larger than it really is. 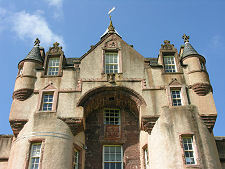 The complex upper works of the castle, seen especially in Fyvie Castle's five towers, four of which come complete with projecting bartizans, have the effect of seeming to extend the castle skywards by much more than their actual additional size. 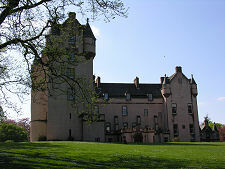 Viewed from above, Fyvie Castle has two main ranges, along the south side and the west side of a square whose other two sides are now unprotected. This basic plan was extended in 1890 when a new wing was added, projecting west from the north end of the west range. 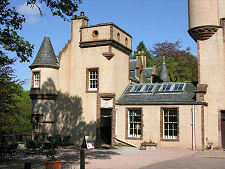 There is a tradition at Fyvie that five of the families who have owned the castle each added a tower, leaving it with the five towers (actually four towers and the 1890 projecting wing) you see today. As a result, if you look at the south front of the castle today, you find the Meldrum and Preston towers flanking Fyvie's crowning glory, the central Seton Tower. At the north end of the west range is the Gordon Tower, while, perhaps to help keep the tradition alive, the projecting wing was called the Leith Tower. While the Gordons, Leiths and probably Setons added the structures named after them, the rest is less straightforward. Fyvie Castle started life as a royal castle some time around 1200, probably as a square wooden structure surrounding a keep within which Scottish kings would stay when touring their kingdom. Although the surroundings today seem to comprise simple tranquil parkland, the site was chosen because it lies in a bend in the River Ythan, which sweeps round to its west, and most other approaches were protected by extensive areas of marshland. It is possible to track the wanderings of many of Scotland's medieval kings by the locations given against their signatures on royal charters that have survived. 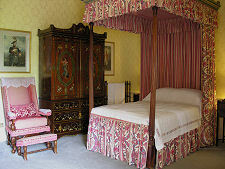 As a result we know that Alexander II was staying at Fyvie Castle on 22 February 1222. He seems to have been the second Scottish king to have used the royal castle at Fyvie, because William I (William the Lion) was also here in 1214. A rather less welcome visitor arrived on 21 July 1296 when Fyvie Castle, by now very probably comprising a stone keep and surrounding wall containing a hall and domestic buildings, joined a long list of Scottish destinations to qualify for an "Edward I of England slept here" plaque during his punitive campaign through Scotland. 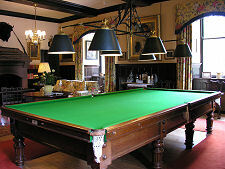 As if to redress the balance, Fyvie was also used in the early 1300s by Robert the Bruce. 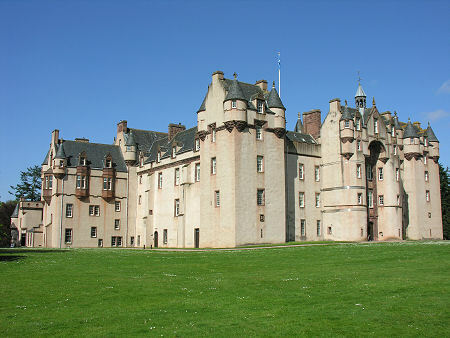 Fyvie Castle continued to be the personal property of the ruling monarch of Scotland until 1370, when Robert II granted the castle to his son, the Earl of Carrick, who was later to become Robert III. He in turn passed the castle to his cousin, Sir James Lindsay. 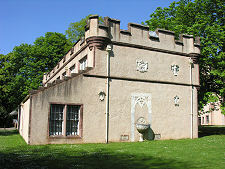 As Robert III, however, he later found a better use for Fyvie. Warfare at the time was less about the capture of territory than about the capture of rich individuals, who could subsequently be ransomed for money, land, or simply the return of prisoners held by the other side. The Battle of Otterburn, on 19 August 1388, was a victory for the Scots over the English fought a little to the south of today's border between the two countries. One incidental outcome was the capture of the English knight, Ralph de Percy, by Sir Henry Preston, the brother-in-law of Sir James Lindsay. After Robert III came to the throne in 1390 he purchased the rights to the ransom from the English for the hapless - and still imprisoned - Ralph de Percy, by transferring ownership of Fyvie Castle from Sir James Lindsay to Sir Henry Preston. This seems to have been as contentious as it sounds, and was only in 1402 that the Prestons actually took possession of Fyvie. 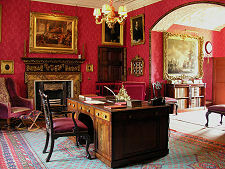 In 1433 the castle passed, as a result of the marriage of Sir Henry Preston's oldest daughter, to the Meldrum family. 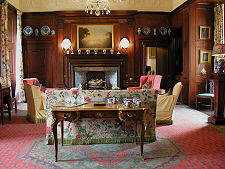 In 1596 it was sold to Sir Alexander Seton, who later became Earl of Dunfermline and Chancellor of Scotland. What exactly the castle Sir Alexander purchased looked like is the subject of some debate. If you go by the traditional naming of the towers, it comprised the towers at either end of the south front, together with a range of buildings between them. But whatever Fyvie looked like in 1596, it was Sir Alexander Seton who transformed it into what you see today, at least when looking from the south. He was responsible for the central, Seton, tower, as well as for the upper works along the length of the south front including those on the Preston and Lindsay towers. He also added the west range you see today. In 1694, Seton's successor, the 4th Earl of Dunfermline died in exile in Paris following his support of the 1689 Jacobite uprising. The castle and estate had already been confiscated by the crown and it remained a crown property until 1733, when it was purchased by William Gordon, 2nd Earl of Aberdeen before passing to his oldest son by his third marriage, William Gordon of Fyvie. He added what has since been known as the Gordon Tower to the north end of Seton's west range. He also, in effect, turned the castle inside out, replacing the old main entrance on the south front with one facing onto the quadrangle on the inside of the west range. 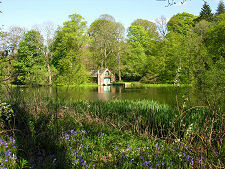 It was also Gordon who established the landscape that now surrounds Fyvie, draining marshes, planting trees and establishing the lake and gardens. In 1885 the castle and estate were again put on the market, with The Times of 5 February that year commenting "...it appears the very residence for an antiquary of ample means." In 1889 the castle, contents and estate were purchased by Alexander Leith, later to become Lord Leith of Fyvie, for £170,000. He was a local boy who had made his fortune in the steel industry in the USA and used Fyvie to house his huge collection of paintings, tapestries, armour and furniture. 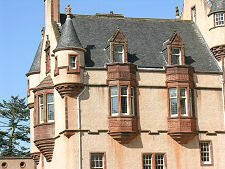 He also left his mark on the castle by building the Leith Tower to the immediate west of the Gordon Tower. 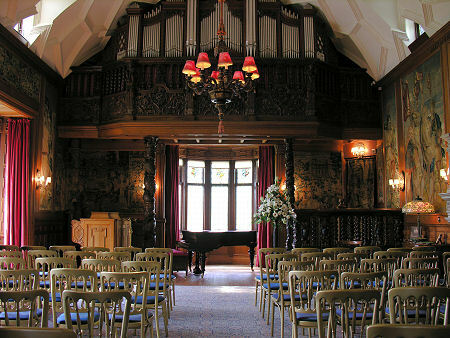 In 1982 Fyvie Castle was again placed on the market, and in 1984 it was purchased by the National Trust for Scotland with support from a number of other bodies such as the National Heritage Memorial Fund. 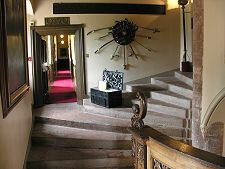 The castle, gardens and grounds have since been open to the public - see opening times above right. 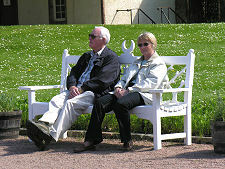 Today's visitor get the opportunity to see much of what makes Fyvie Castle so exceptional. 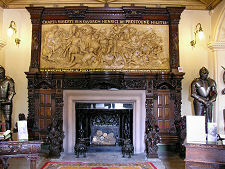 Highlights include the fireplace in the entrance hall, complete with its plaster relief of the Battle of Otterburn. 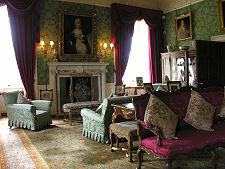 But perhaps the most impressive area of the castle is formed by the way the enormous drawing room, occupying the second floor of the Gordon Tower, opens out into the gallery, occupying the second floor of the Leith Tower. 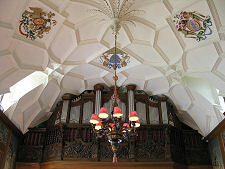 The gallery is richly hung in tapestries and comes complete with an organ occupying much of the upper part of its west wall. One of the nicest spaces is the library, which is built to an unusually intricate design including a second smaller library in a turret and a study. 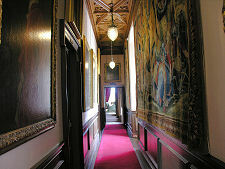 Among many other rooms on view from the grand dining and billiard rooms to more intimate sitting rooms, visitors also tour the bedrooms, dressing rooms and bathrooms off the Dunfermline Passage, a narrow corridor lined with tapestries and paintings. 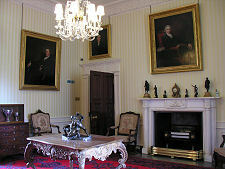 Also on the tour is the charter room. 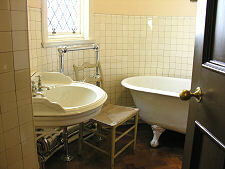 This was built as the castle's strongroom for the storage of deeds and charters. 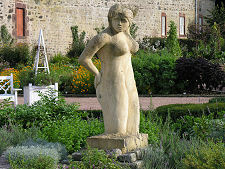 It is also home to one of the many legends that surround Fyvie Castle. It is said that immediately below the charter room is a secret chamber. 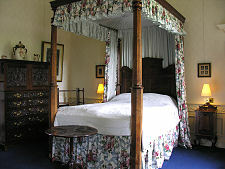 Legend tells that if anyone tries to open the chamber, a curse will cause the laird of the day to die and his wife to go blind. 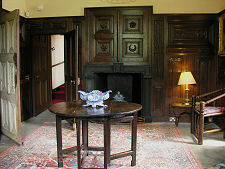 The charter room also links to a much older, but perhaps related, legend involving Thomas the Rhymer, the legendary prophet from Earlston. On visiting the castle a freak gust of wind is said to have shut the gates in his face, and in response he placed the "curse of the weeping stones" on the castle. According to the curse, until three stones, apparently originally boundary stones marking the extent of the parish, are removed from the area surrounding Fyvie, there will always be problems with the succession of Fyvie through the generations. 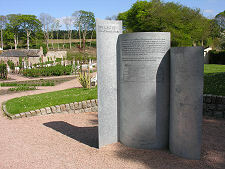 One of the stones is said to be buried into the structure of Fyvie's oldest tower, and another ended up in the charter room. The third, however, was lost in the River Ythan, making it impossible ever to lift the curse. 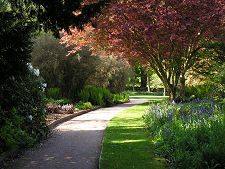 Beyond the castle itself, visitors can enjoy the extensive surrounding estate. 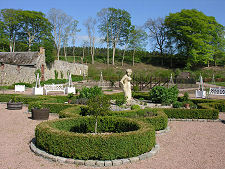 The walled garden at Fyvie specialises in growing a wide range of Scottish fruits.